It’s been a few weeks since Mark Zuckerberg announced changes to the Facebook algorithm feed so we thought we’d check in to see whether you’ve noticed any changes or yet to make adjustments to your strategy. In case you missed it, here’s the low down on what happened, how brands can adapt and our top tips for how to create content that will do well in the Facebook news feed. Before we get going, we thought we’d ask some key questions. Does your company or organisation use Facebook to build awareness, drive conversion and create advocates? Do you currently love creating short snippets of content for Facebook? Do you create stat infographics? Do you measure success by interactions on likes, shares and short comments? Have you used snackable social content to drive organic reach and channel acquisition? Have you been guilty of baiting responses, asking people to tag their friends? If you can answer yes to any of the above, it could be time to take a fresh look at your social strategy. At Big Brand Ideas we’re BIG at helping our clients and agency friends navigate through tech and industry changes so we’ve created some helpful hints and tips about how to navigate your way into one of the top news feed spots. The end is not nigh, it simply means an adjustment in strategy is required. So, in case you missed it, here’s the background to exactly what happened. Research conducted by Facebook suggest that strengthening relationships improves our wellbeing. They have claimed that when we use social to connect with people, it correlates with long term measure of wellbeing you’d expect, like happiness and health. But passively watching videos or reading articles may not have those same effects. 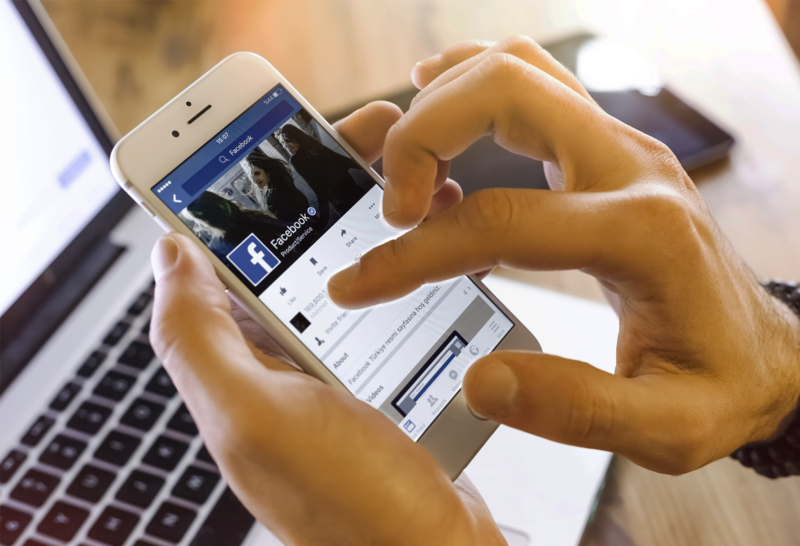 Feedback from Facebook users has suggested connections are something people expect from Facebook, but in the last few years, the sheer volume of public content from video, news and posts has crowded out personal connections. With the time people are spending passively consuming public content takes away from the time people spend connecting with each other. In a nutshell, Facebook is prioritising meaningful social interactions over passive consumption of content. More posts from friends and family means less space for content from the public, businesses or publishers so naturally, pages may see their reach, video watch time and referral traffic decrease. Whilst the impact will be driven by various factors and will differ from page to page, the core crux of success will be based on how people interact with the content businesses create. Page posts that generate conversations between people will show higher in the news feed, so if you think of Facebook as a conversation catalyst rather than a podium to project from, you are starting to head in the right direction. Content that sits in your feed that doesn’t generate much of a reaction will be affected the most and you can expect to see a decrease in distribution. Posts that use ‘engagement-bait’ to goad people to commenting on posts will also be demoted. For the time being anyway, if you can persuade your audience to set your page into their ‘See first preferences’, you stand a chance of still being seen. Facebook has also highlighted that helping people to connect is more important than the time they spend on Facebook. The changes made have already reduced time spent on Facebook by an estimated 50 million hours per day, emphasising their commitment to ensuring people’s time is time well spent. The drive for quality over quantity in theory makes commercial business sense. Time spent interacting with people is more profitable than time spent passively consuming video or news. So, when you care about something, you are more likely to be willing to see ads to then experience it. The changes suggest a move towards a model where less visits achieve longer dwell time as well as the desire for people to proactively search out content that’s relevant to them. The launch of Facebook Watch, a place designed to connect people who have similar interests feels like they are following in YouTube’s footsteps, no doubt to come with a Facebook twist. The launch of Watch Party will facilitate friends watching a show together although it is unclear at this stage whether the content has to exist solely on Facebook. According to Facebook, stories continue to grow and are on track to overtake posts in the feed as the favourite way to share multiple quick video clips throughout the day. LIVE will continue to grow and will be viewed as preferred content by Facebook, with stats highlighting LIVE content generates up to six times as much interaction amongst audiences. So whilst there’s lots to take in, it’s clear that the key out-take is, content must drive conversation. Video will need to focus on encouraging meaningful interactions, not passive experiences so brands need to build video experiences that connect friends, family and like- minded people together. LIVE video gets on average six times as many interactions as regular videos, start to think about how you can weave meaningful live experiences through your content. Find creative ways to get your audience to set your page as ‘See first’ in their newsfeed preferences. Allocate budgets accordingly: Brands that see the most success with social have reallocated media budget to social media and PR activity from other media pots. Social and influencer engagement is main stream media so the budgets need to provide the channels with the opportunities they deserve. Will anyone actually be interested in the content being produced, if so, who? Will the content initiate a discussion or interaction, beyond a like, share and one-word response? What type of interaction can that channel expect to facilitate? Do you have a clear strategy for amplifying the content, does it fit within your overall strategy? Have you an appropriate budget to create the content and also to maximise initial exposure of the content? Core take out, yes, it’s another blow to brands who’ve invested in their social strategy, but it’s nothing that with the right approach, can’t be overcome. Implementing an intelligent, creative and considered approach to all social content will ensure you remain relevant and improve the engagement with your audience by driving a meaningful and deeper relationships. If you would like to chat through any part of your social media activity, give Abi Owers our Engagement Director a call on 0161 441 4740, email abi@bigbrandideas.co.uk or drop her a message via LinkedIn or Messenger, we’d love to hear from you.